A scientist’s view of the climate crisis: why the public does not see it, why governments fail to address it effectively, and options for how young people might respond to the intergenerational injustice of human-made climate change. The Joseph Priestley Award recipient is chosen by a different science department each year. 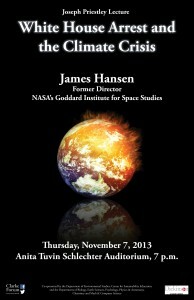 The Department of Environmental Studies has selected this year’s recipient, James E. Hansen. The event is supported by the College’s Priestley Fund and is sponsored by the Clarke Forum for Contemporary Issues and Student Senate and co-sponsored by the Department of Environmental Studies, Center for Sustainability Education, and the Departments of Biology, Earth Sciences, Psychology, Physics & Astronomy, Chemistry and Math & Computer Science. This event is also part the Clarke Forum’s Leadership in an Age of Uncertainty Series. 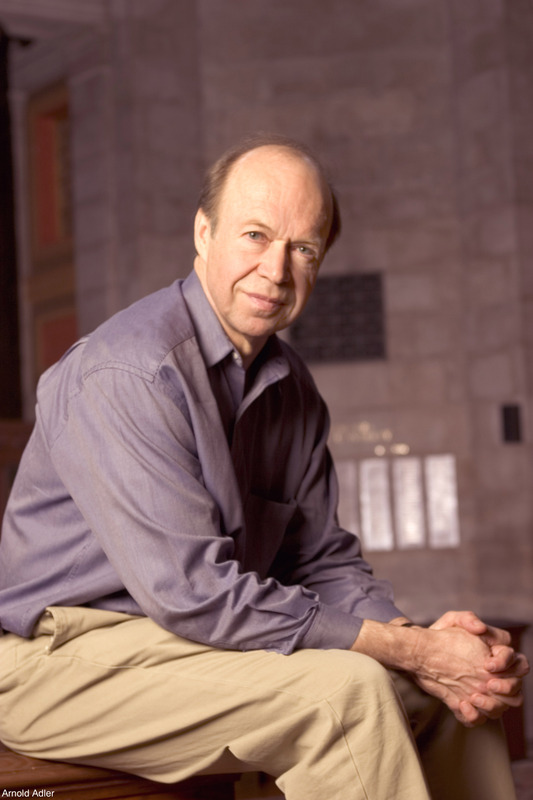 Dr. James Hansen, formerly the director of the NASA Goddard Institute for Space Studies, is adjunct professor at Columbia University’s Earth Institute, where he directs a program in Climate Science, Awareness and Solutions. He was trained in physics and astronomy in the space science program of Dr. James Van Allen at the University of Iowa. His early research on the clouds of Venus helped identify their composition as sulfuric acid. Since the late 1970s, he has focused his research on Earth’s climate, especially human-made climate change. 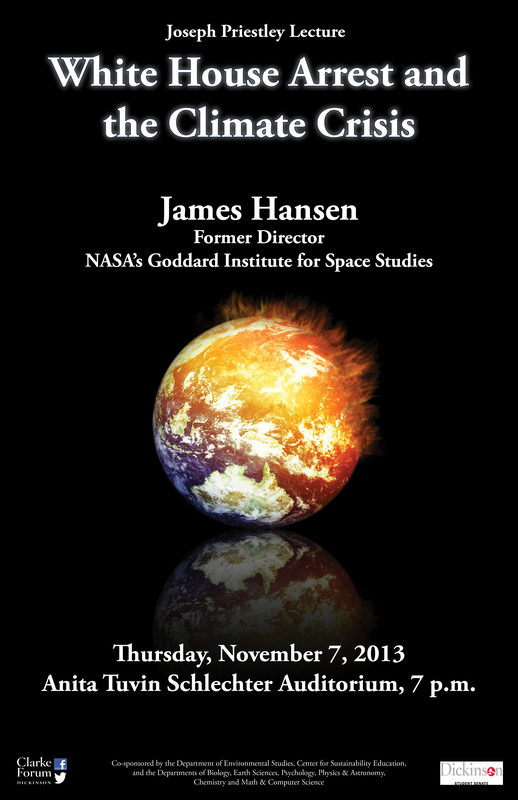 Dr. Hansen is best known for his testimony on climate change to congressional committees in the 1980s that helped raise broad awareness of the global warming issue. He was elected to the National Academy of Sciences in 1995 and was designated by Time Magazine in 2006 as one of the 100 most influential people on Earth. He has received numerous awards including the Carl-Gustaf Rossby and Roger Revelle Research Medals, the Sophie Prize and the Blue Planet Prize. Dr. Hansen is recognized for speaking truth to power, for identifying ineffectual policies as greenwash, and for outlining actions that the public must take to protect the future of young people and other life on our planet.